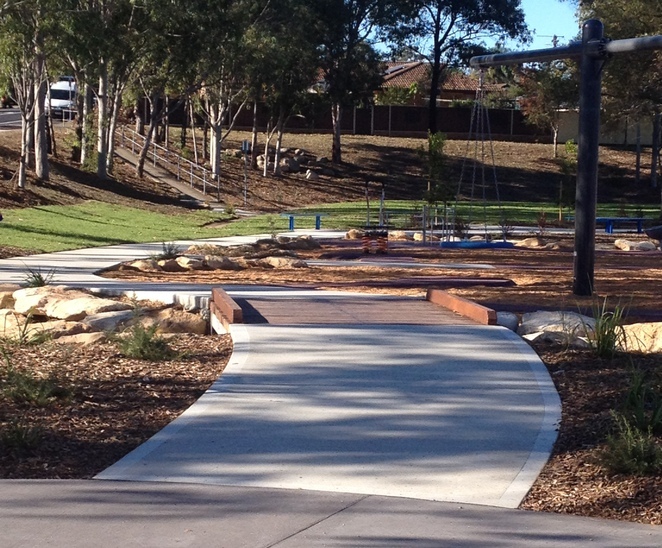 It's official, Birriwa Reserve Outdoor Youth Space is the coolest place to hang out in south west Sydney. With its thrilling play equipment, huge climbing pyramid, multipurpose courts and green spaces there is sure to be something for everyone to enjoy at this brand new recreation park. Birriwa Reserve Outdoor Youth Space has been provided by Camden Council and was designed specifically for the growing population of teenagers and young adults of Mount Annan and surrounding areas. 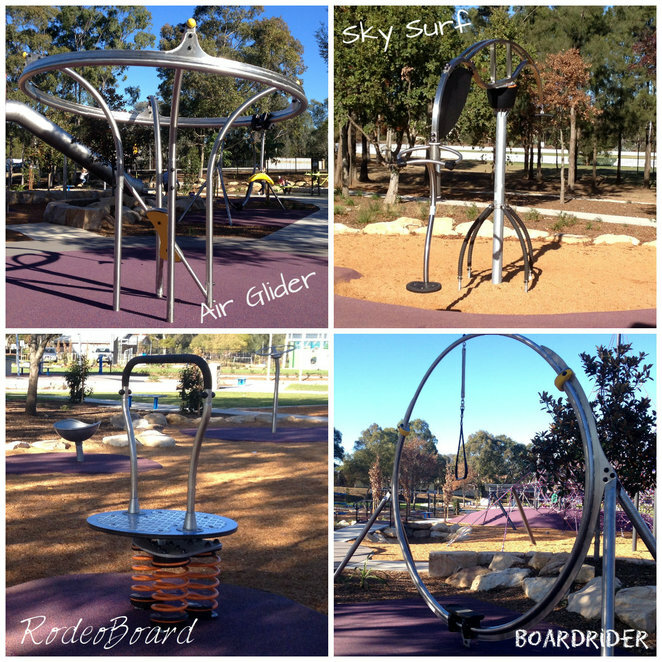 Instead of the standard playground & park equipment you usually find, Birriwa Reserve has equipment inspired by action sports. The names of the equipment should give you a clue as to what is involved, such as the Air Glider, Sky Surf, Rodeoboard and Boardrider. These are just some of the exciting pieces to try. Skateboarders will love the physical challenge of the Boardrider and if you've ever wanted to give windsurfing a go then the Sky Surf Is perfect for you. For rodeo fans there is the Rodeoboard which can handle 4 people riding simultaneously. In this outdoor setting, away from their screens, teenagers are encouraged to be physically active with their friends. The equipment is not only exciting and fun it also challenges kids to use their upper and lower body strength, test their balance as well as their coordination, agility and timing. 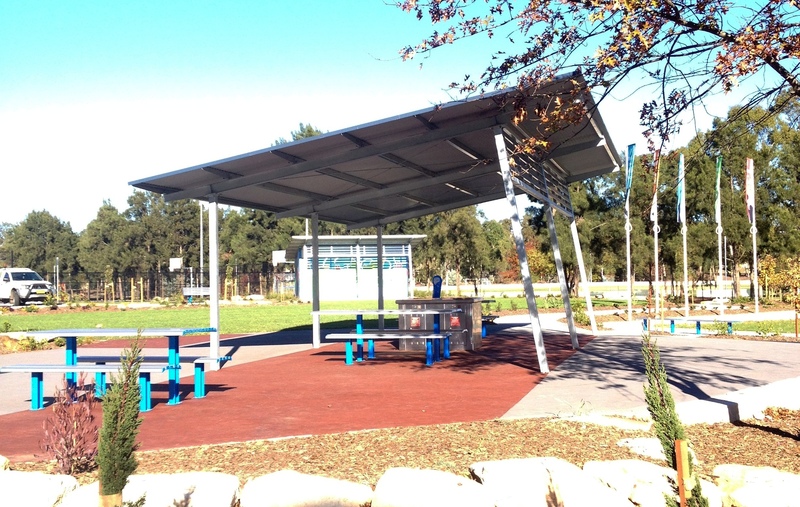 Although the space has been designed for teens, younger children are not forgotten and will also love this park. There is a large climbing pyramid and tower with a cool 3 metre slide, a twin cable ride that you can race your friends on, plenty of swings and smaller rotating rides. Apart from the play equipment the park has landscaped gardens and plenty of grassed areas to relax on or kick a ball around. Don't forget to bring your bikes and scooters to use on the concrete pathways that are provided throughout the park, You can even have a friendly game of ping pong on the outdoor table tennis table (if you bring your own bats and balls). If you are in to ball sports such as hockey, soccer or basketball there are two multipurpose hard courts available to use right next door to the park. Parents of young children will be relieved to know there are toilets provided on site as well as covered seats, tables and BBQ facilities. 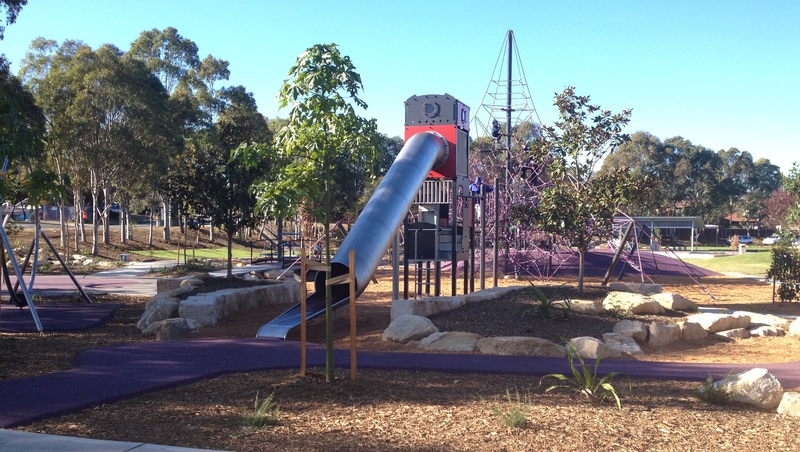 The park is positioned below street level giving it some protection from the busy streets above, however it is not fully fenced so young children will need constant supervision. 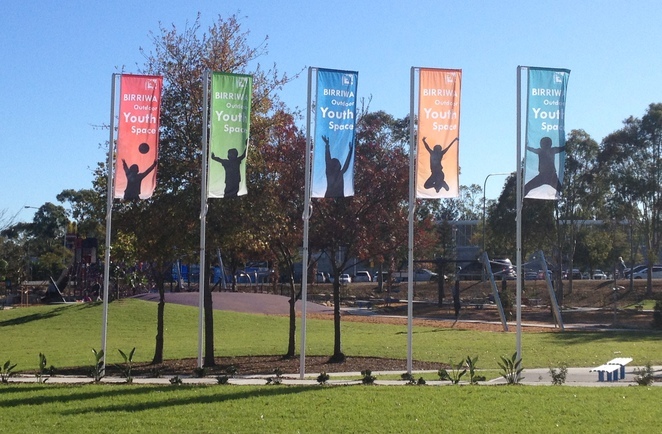 Birriwa Reserve Outdoor Youth Space is located on the corner of Waterworth Drive and Welling Drive Mount Annan. 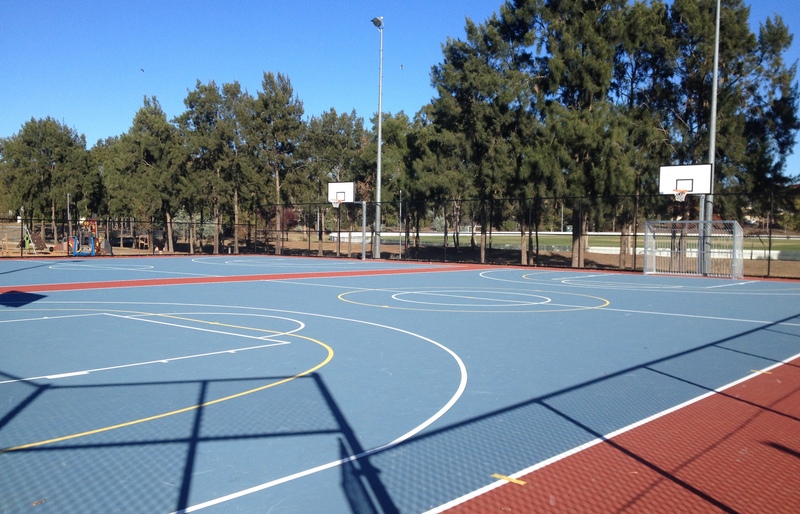 Off-street car parking is available in the Birriwa Reserve car park off Fitzpatrick Road. 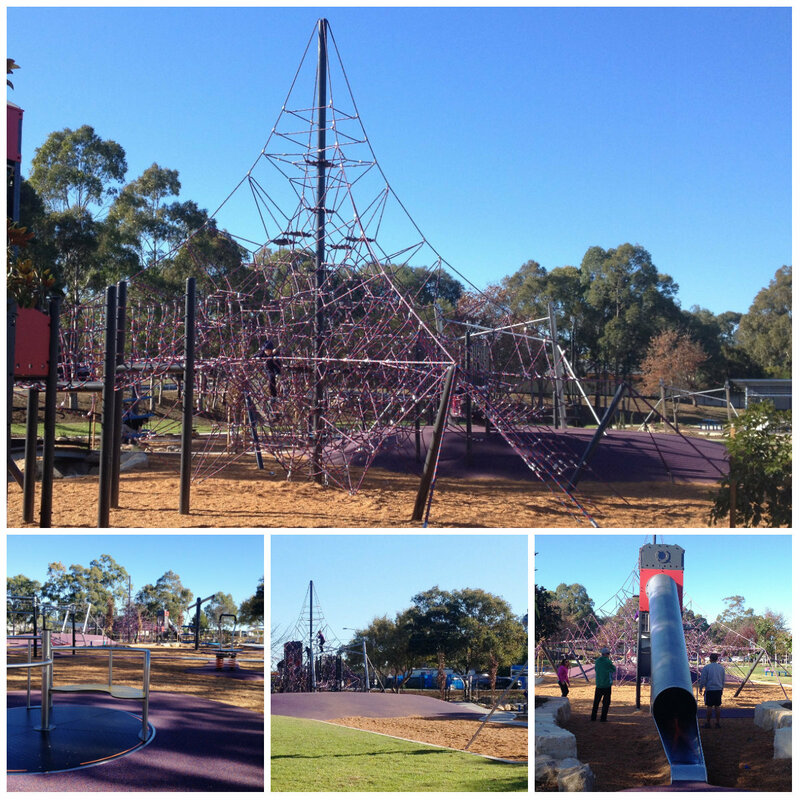 With so many great facilities this park is sure to be a favourite with locals for many years to come and is the perfect choice for a healthy dose of outdoor fun.